Behind the scenes in the show dog circuit, the lives of these canine competitors are filled with love, jealousy, controversy and luxury. 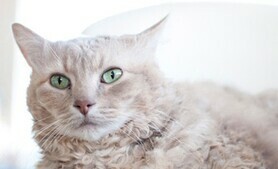 Outside the ring, they promote charitable causes, chase squirrels, perform in music videos and lay down the law to fellow pets—except when they’re kowtowing to the family cat, of course. 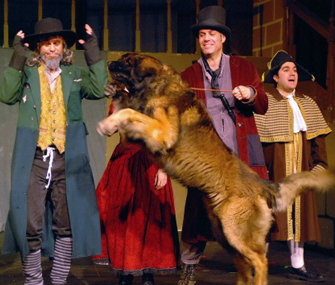 He has his own Facebook page and serves as the canine travel correspondent for Everyday Opera magazine. His penchant for stealing underwear led to a charity drive called Underwear Everywhere, which brought in more than a thousand packages of underwear from his fans for donation to the Union Rescue Mission. He’s Ch. 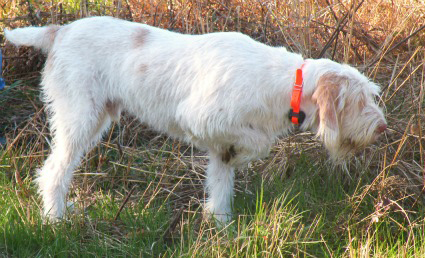 Sweetbriar's Ecco D'Oro JH, a Spinone Italiano, an Italian pointing breed. Owner Amy Haven Hines of Virginia says Ecco is a well-oiled machine in the show ring and lives by his own rules at home, lounging on her cocktail table and lifting his leg on signs that say “No dogs allowed.” Hines, a certified canine massage therapist, gives Ecco a massage before he goes into the ring and sings him a little song. He’ll still get the massage from her at Westminster, but Everyday Opera is sending a professional opera singer to the show to serenade him before he goes into the ring. 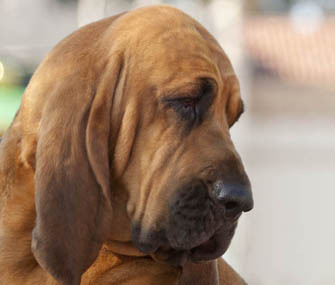 Bloodhound GCH Ch Quiet Creek's Kiss and Tell, bred and owned by Susan LaCroix Hamil of Laguna Beach, California, has lived with her handler, Bruce Schultz, since he picked her out as an up-and-coming show dog when she was just four months old. That’s because to compete at the highest levels, dog and handler must have a special relationship. Bloodhounds in particular are not natural show dogs, Hamil says, so she appreciates the kind of relationship Schultz is able to build with his dogs. Kiss is so fixated on Bruce that she can’t take her eyes off him, and she doesn’t like it when he shares his affections with other girls, er, dogs. Fortunately, Dazzle and Kiss get along well outside the ring, with no throwing of drinks or fighting or scratching or biting. One of the newest Working breeds to join American Kennel Club ranks is the furry Leonberger, named for his leonine good looks. 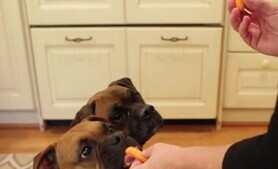 Apparently the breed has theatrical talent as well. Ch. Leos By The Sea Furion, Chewee for short, has played the role of Sandy in a production of Annie and the part of Bullseye in Oliver Twist. Most recently, he and his brothers Zanzibar and Mr. America, collectively known as The NYC Boys, appeared in the music video “It’s Real” by Brooklyn pop band Real Estate. When he’s not in the show ring or onstage, Chewee enjoys traveling, visiting people in nursing homes and hospitals, dancing at fundraisers, running on the beach and chasing geese. Chewee is handled by Sue Burell and owned by Morgan Williams Avila of Lynbrook, New York. 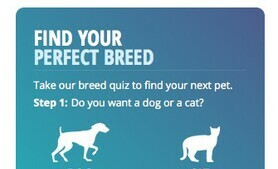 At Westminster, Smooth Fox Terriers have a reputation to uphold. 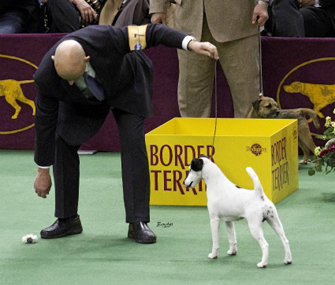 After all, the first three times BIS was awarded at the show, the winner was Smooth Fox Terrier Ch. Warren Remedy. The fourth year? Smooth Fox Terrier Ch. Sabine Rarebit. So GCh Slyfox Sneaks a Peek (Adam to his friends) is carrying on a grand old tradition with his second appearance at the Garden. Last year, he won the Group, and it will be no surprise if this smoothly sophisticated show dog repeats the feat. Nothing fazes him, says Lesley Boyes of Grass Valley, California, whose husband, Eddie Boyes, is Adam’s handler. Unlike some dogs, he doesn’t mind being groomed or having his nails done, and he doesn’t bat an eye at TV cameras or crowds. When GCh Lamplighter’s Tattle Tail walks around the ring, it might take a minute to realize why he looks a little different from the other Silky Terriers. Then you realize that he is rocking a full natural tail. 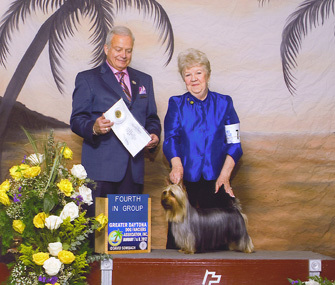 The Silky breed standard calls for tails to be docked, but handler Barbara Beissel, recognizing that more countries ban docking than permit it, decided it was time to take a stand on the issue here in the United States. 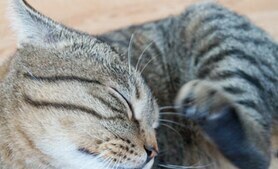 She made the choice not to dock Tatty, as he’s nicknamed, and his four littermates. 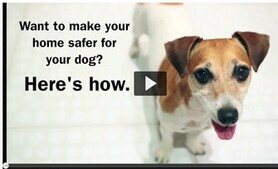 Showing a Silky with a full tail is controversial, but it hasn’t hurt the dogs in the ring. 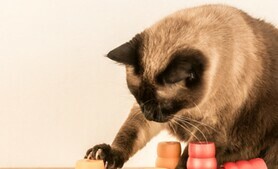 When he’s not turning heads with his tail, Tatty likes to run and play in the yard, usually with a toy in his mouth. Everyone knows that Dalmatians are firehouse dogs, and first-time Westminster entrant GCh Insignia IndyGeaux Dotts takes that association seriously. Indy, as she’s nicknamed, loves visiting local firehouses in her hometown of St. Charles, Missouri. 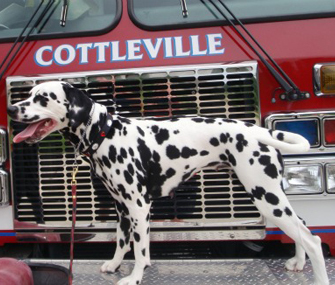 She participates in community outreach programs with local fire districts and provides them with pet oxygen masks purchased with funds from her dog show wins. For fun, Indy can be spotted doing rally and agility, running on a treadmill, playing ball, clearing the yard of deer and squirrels, and teasing her feline housemate, Zeeba. Don’t mess with Lulu. 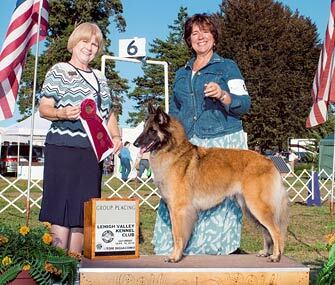 Belgian Tervuren GCh Mishaook’s Lulu @ Chateau Blanc HSc is a diva who oozes natural beauty and elegance, says co-owner Janine Laurin, and she likes order in her world. Lulu does not like her show routine disrupted. Lulu is well aware of just how fabulous she is. Her expression in the ring sends a clear message: The judge should be honored to examine her. “If she doesn’t think you are worthy, she will look down her nose,” Laurin says. In her spare time, Lulu enjoys wading through the ocean waves off the Connecticut shoreline andgoing for long walks with her owner in the hills of Connecticut's quiet corner. 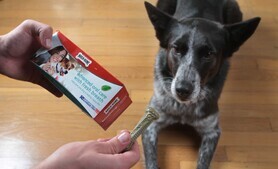 She earned her herding "C" course title on sheep and is in training for advanced titles in herding. Read more of Vetstreet's Westminster Dog Show coverage here.